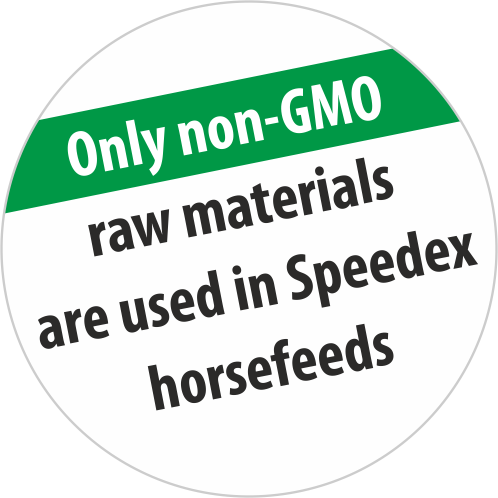 Speedex Grow is a feed with well balanced energy and protein content. It is produced from feed materials that promote bowel function. The protein content has been supplemented with amino acids and a part of the energy comes from oats. oats, sugar beet pulp, barley, linseed cake, soybean meal, liquid molasses, wheat bran, vegetable oil, monocalcium phosphate, salt, calcium carbonate, premix, magnesium oxide, lycine and methionine, YEA-SACC®, SEL-PLEX®, BIO-MOS®, flavor.